Who do you know that has unexplained health problems? 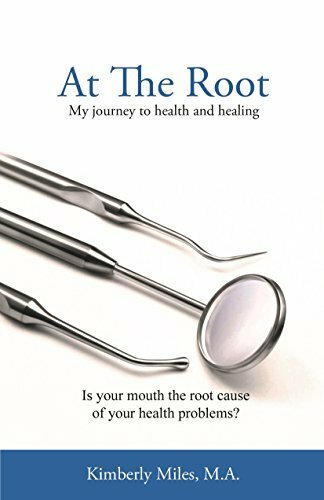 Did you know that some chronic unexplained health challenges may have roots in our mouths? I met Kimberly Miles at a local networking lunch. I learned she's the author of At the Root, and of her interest in growing beyond “just book sales.” Lucky for us, we met the week before our last Small Business Marketing Plan Bootcamp, so I offered her a ticket, which she accepted and took full advantage of. We got to spend the day together on Tuesday, honing in on Kim's target market, her message and the tactics to reach her ideal clients. And we started the day interviewing her on our radio show The Marketing Checklist. “Kim had been an enthusiastic college student, creative, athletic and energetic. That changed in her junior year of college. After the removal of her four wisdom teeth, Kim began to suffer from unexplained health problems: recurring pneumonia, debilitating fatigue, brain fog, unexplained rashes and swollen lymph nodes that would not go away. Over the next thirty years her doctors would diagnose Kim with Chronic Fatigue Syndrome, Epstein-Barr virus and even lymphoma, but they did not really know. One of our first questions was What's a Biological Dentist? Kim answers that in her book, and in our interview. Who do you know that needs to hear Kim's interview? Who do you know that needs to read Kim's book? Who do you know that needs to hear Kim's story?